In 2006, the Trust acquired the Grist Mill property on Mill Lane. This historic property includes public access to beautiful Mast Cove, the site of the Perkins Grist Mill and the Clement Clark boathouse. Set within walking distance to Lower Village, it is a unique setting we encourage you to visit. 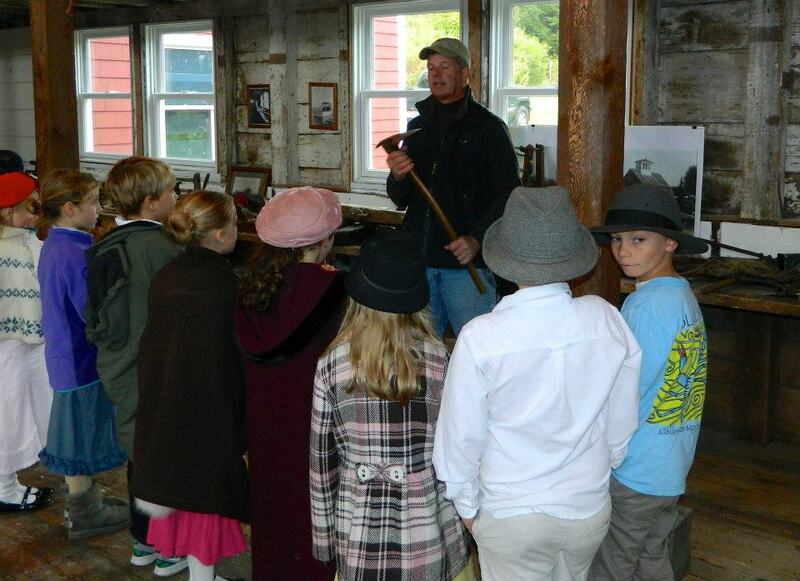 Field Trips: Kennebunkport Consolidated School students visit the property multiple times each year. Here they learn about our ancestors and their lives on the river. They explore ship building days, tidal mills, and the growth of our town in colonial times. Additionally, their curriculum includes water sampling, river investigations, fisheries and more. Boat Launch: The property also features a public boat launch for recreational activities. It is open to canoes, kayaks and paddleboards. To ensure that it is available for everyone’s use, we ask that you do not park at our Grist Mill property when using the boat launch; please drop your vessel, park at the public lot next to the fire station and walk back to begin your journey on the water. You are welcome to enjoy a picnic while you are there, tables provide. Please be respectful of our neighbors and be sure to carry-in/carry-out. Historic Buildings: With the financial backing and encouragement of an individual donor, the Trust began the permitting process to renovate the boathouse in 2010 and to reconstruct the grist mill in 2011. The mill was a building that was used and loved by generation after generation, a building that reflected each chapter of our town’s history, just as its reflection was one of the most painted and photographed in town. That building was on the National Register of Historic Places. It was taken by arson in 1994. Private funding has been found that would cover most of the mills replacement cost plus an endowment. Lumber from period barns, materials and the working parts of antique mills have been located that would replicate that which was lost. We would like to use the building as a River Heritage Educational Center, tied in with our Trust in Our Children programs and future Center for Lifelong Learning. Many of the exhibits would revolve around the mills role in the life of our town and the mechanical ingenuity that was incorporated into its operations. Other displays, lectures or activities could include the rich maritime history of the river and its natural features. We would like to collaborate with our local historical societies in order to pass on this important connection to our past. We also want to be a good neighbor, limiting hours of operation, lighting, traffic, parking, signage, functions, and keeping the Center seasonal. The Trust has received permits needed from all the state and federal agencies, as well as the Kennebunkport selectmen and River Committee. Now the issue is before the Planning Board and our hope is that they will work with us toward restoring this priceless link to our past. What a gift this would be to our community!